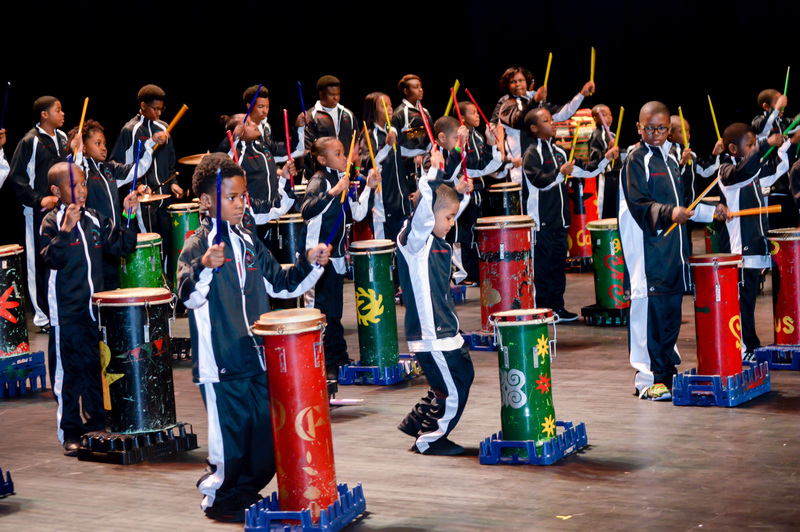 For over 25 years, the River City Drum Corp Cultural Arts Institute has been enriching children’s lives through Arts and Educational Enhancement. The Corp was founded under the direction of Edward ‘Nardie’ White while at the Parkland Girls’ & Boys’ Club. Shortly afterward, the Corp moved its office and programming to Immaculate Heart of Mary Parish in West Louisville. Since that time, we have acquired non-profit status and expanded programming to include: Pipe drumming, Drumline, Percussion, Piano, Cultural Arts Enhancement, Leadership and Social Skills Development, Career Exploration and Professional Skills Development. RCDC is far more than just a musical entertainment group; it is an organization that provides its members with a blueprint for success in life. Each young drummer makes his or her own drum, using recycled materials. Members learn how to manage all aspects of their performance schedule—not just drum! Students actively build skills needed for personal, academic and social success. They are responsible for scheduling, performance itinerary, and ensuring effective communications between staff, students and venue contact. River City Drum Corp teaches children ages 5-18. Family and community play an integral part of the program’s cultural philosophy, based on the Nguzo Saba (7 principles of Kwanzaa), serving as the basic support structure for what is accomplished through the children’s efforts. Diversity is celebrated within the community; therefore, children from all ethnicities and religious backgrounds are accepted into the Drum Corp family. Our overall success is a result of the commitment from participants, immediate/extended families, and program and community volunteers to function as one unit—a true extended family. The commitment from each of these entities plays a distinct role in the development and nurturing of youth participants. 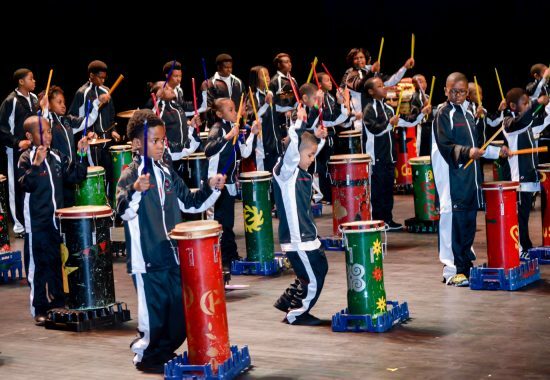 The River City Drum Corp Cultural Arts Institute has established numerous satellite drumming and arts programs in Louisville Metro over the past two decades. Some of those sites include: King and Wheatley Elementary Schools, Farnsley Middle School, Brooklawn Youth Services, Nativity Academy, Americana Drum Corp, Shawnee Cultural Arts Center, along with numerous churches and community centers. We have performed in countless local, regional and national venues as well as sponsor four annual performances. One of which is the much anticipated, well-known Annual Da’Ville Classic (an official Kentucky Derby Festival Event).